Group coaching is recommended for small groups of 4 to 12 individuals who are typically not members of an intact team. All participants are eager to benefit from coaching related to a specific topic. These topics can range from learning or modifying a particular competency to gaining information and insight. 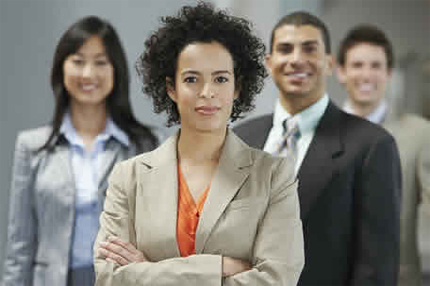 Leader’s Insight incorporates a technique called “insight coaching”—or peer coaching—where members of the group develop their coaching skills and assist each other in the learning process. This approach enables greater learning and sustainability of progress achieved by the group. While the group meets monthly, there are also meetings between the coach and the individual to review assessment data, to build self-awareness, and to strengthen the confidence and direction of each member. In the first group sessions, the coach introduces the fundamentals of the topic and promotes an open dialogue. All are encouraged to contribute and offer first-hand experiences. Later, members introduce topics and facilitate discussion.This sharing of actual issues brings the topic into focus for a more comprehensive understanding of the subject and can lead to greater insights. Topics might include cross-cultural working, developing personal leadership skills, building resilience and agility and finding one's authentic leadership style. Finally, because we’ve built in the insight coaching concept from the very beginning, the group members are able to help each other become a community of learners.